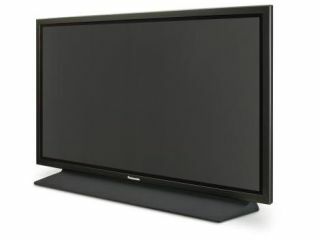 Panasonic has announced it will be extending its popular V10 plasma range with new 58- and 65-inch NeoPDP TVs. These new behemoths join the existing 42- and 50-inch sets in the range, and bring the same host of technology to the party, including internet content over the Viera Cast option. The new TV's feature a 600Hz Sub-field Drive with Intelligent Frame Creation Pro (for a better picture), 1080p resolution, THX certified display and dynamic contrast of over 2,000,000:1, underlining why people who enjoy deep blacks love a plasma over an LCD. There's also an SD card slot for watching video and pictures on the screens, with the option to bore your friends ever-so-slightly less when showing them holiday snaps by adding in music too. The new 58-inch (TX-P58V10E) and 65-inch (TX-P65V10E) TVs haven't been given a UK release date or price yet, but we're hoping it's going to sooner rather than later so empty walls all over the country can be filled up.